Seattle Japanese Garden for the first time and seeing it in Spring bloom. are extravagant bursts of color. with vignettes both artistic and finely detailed. Japan is a regular consultant for maintenance. and I have to say this is the prettiest Japanese garden I have seen to date. in peak bloom from mid-April through May. 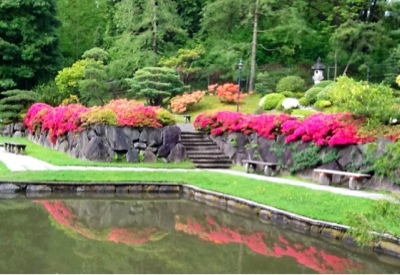 Grab someone you love and go for a stroll in the Seattle Japanese Garden. 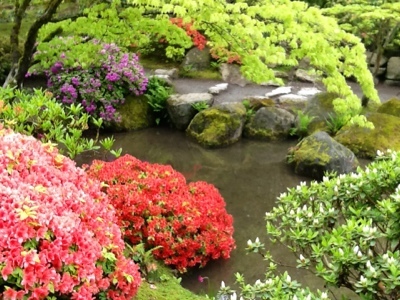 I think this Japanese Garden is a must see if you're in the area, gorgeous! WOW that's so beautiful! 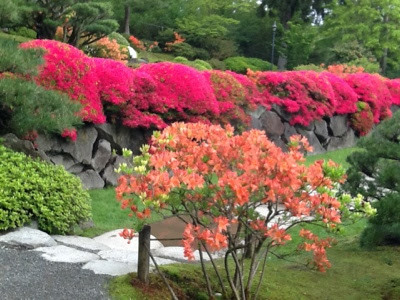 I may have to arrange a trip to Seattle just to see that garden... thanks for sharing your trip. What a beautiful garden. 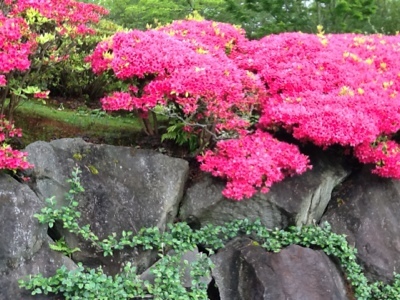 I love the azaleas, such cheerful colours. Gorgeous! The garden looks spectacular and you photographed it beautifully. Thank you for the tour and all the eye candy.